Tourism is a significant factor of territorial development for mountain areas but also faces challenges related to social and environmental sustainability. With the current programming period coming to its end, different stakeholders and Members of the European Parliament are putting forward the idea of a more European tourism policy. In the context of the ending programming period, the EU tourism policy is under a major review for the first time after 2014. Several European events on tourism took place in the past few weeks. The European media Euractiv organised the event “Tourism – a key driver for socio-economic progress” on February 26, 2019 with MEPs and stakeholders. 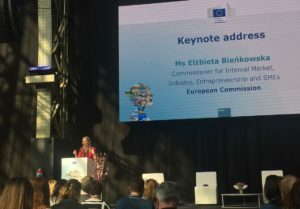 The European Commission also organised a “Showcase conference on tourism” on March 19, 2019. Finally, the European Parliament “Transport and tourism” committee held a debate on March 4, 2019. Euromontana attended these events and followed current debates on the future of the European tourism policy. Read the full article (only for members).